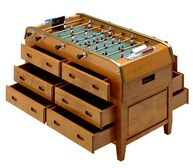 This furniture-style 12 drawer model is made to blend in with your woodwork and other home decor. 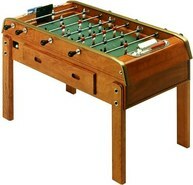 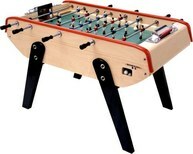 The B90 12 drawer foosball table model is made by the Bonzini manufacturer who is known for making high-end tables. 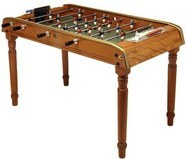 This model is the most expensive Bonzini table with cherry stained Beech wood drawers and cabinet. 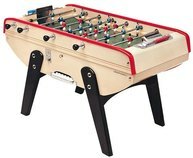 Featured on this model are telescoping rods, heavy cabinet, aluminum men and rods, and the option to select from either cork or plastic foosballs. 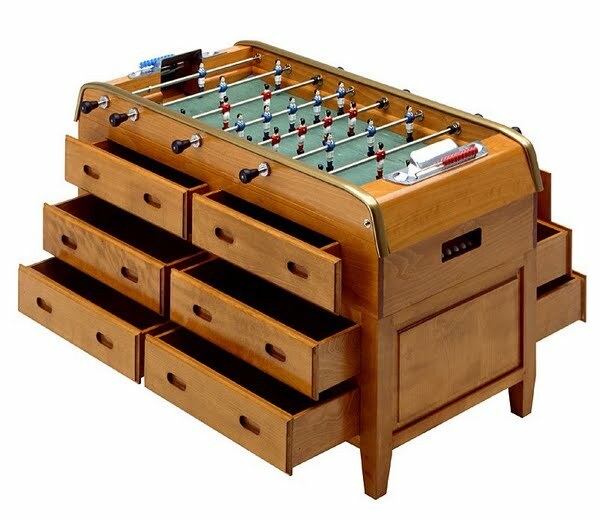 Drawers on this model can be used as extra storage for foosball balls, silicone, or rags to clean your table.